I eagerly opened the box and it brought back a rush of memories for me. Bags of pieces! A thick book of instructions! Little Lego people! I was all set on taking pictures of my progress but I got so wrapped up into putting together pieces (while catching up on the last two episodes of The Walking Dead) that I forgot to do it. Putting together the sections was pretty easy as long as you followed the instructions. However. It’s REALLY frustrating when you are 3/4 of the way into completing your set and then you realize you put a piece in the wrong place. And that in order to fix it you have to take apart most of the Starfighter to fix it. And then you realize after taking it apart, you can’t remember where you left off and you start getting annoyed because it seems like you’ll have to start ALL OVER AGAIN because you cannot make this one piece fit anywhere. Luckily before things got to the point of dissembling angrily the entire thing, I was able to finally figure it out. It was a lot of fun putting this together and it brought back a lot of good memories as well as made me feel quite creative and productive. I kinda want to go out now and get more sets and put them together. I’m not the super crafty or physically creative type so I probably can’t create something out of just random pieces. But I think it’d be pretty cool to make more. Also for the record, playing with Legos isn’t a boy thing and I kinda wish the marketing of it would not make it seem so to the point where they’ve created that whole “Just for girls” set. I’m a girl and I totally loved the one I just put together and I’m sure other younger girls would as well. I’ve yet to really play any of the Lego video games (dabbled with Star Wars: The Complete Saga and Marvel Super Heroes) but they look really fun and cute. I also enjoyed yesterday on Netflix: Lego Marvel Super Heroes: Maximum Overload. If you enjoyed The Lego Movie and are a Marvel fan, you’ll really enjoy this short animated film. Lots of in jokes and humor and very well done. 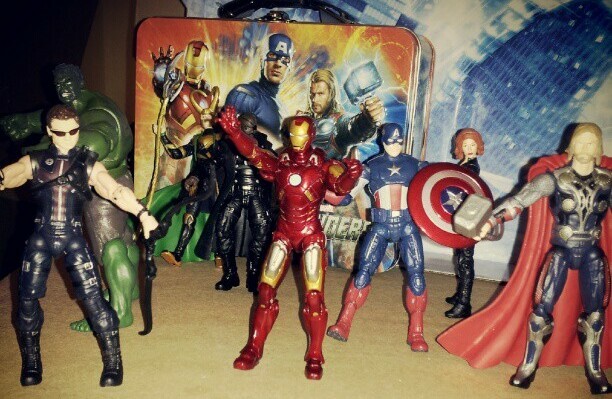 I only wish that Hawkeye was in it, but you can’t have everything in life.